The European Space Agency (ESA) and European Organisation for the Exploitation of Meteorological Satellites (EUMETSAT) have announced the successful launch of a new weather satellite expected to provide a major source of data for weather forecasts. The new satellite replaces Metop-A, which is was launched in 2006 but is now running low on fuel, which makes it hard to make optimal observations. The satellite was nonetheless responsible for 26% of the data used to create numerical weather predictions. That made Metop-A the single largest source of data for forecasters, with the higher-altitude Meteosat, US satellites and sources like weather balloons also helping out. Metop-B will operate while its predecessor still works, but as it is newer is expected to generate better data and therefore help meteorologists to create better forecasts. A third Metop satellite, Metop-C, will launch in 2017. The Metops are part of a collaboration between US and European space agencies that sees both use some of the same instruments in their respective weather satellites. Data is also shared. 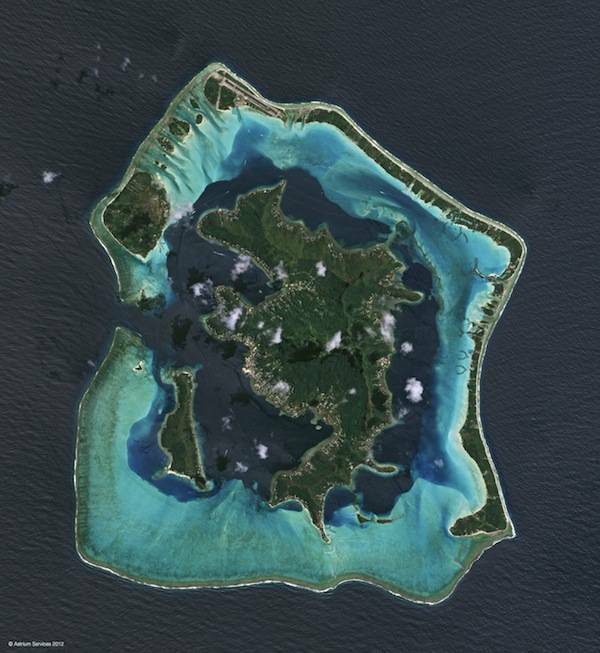 Bora Bora as seen from the new Spot 6 earth observation satellite. Image copyright Atrium.